http://rstthermal.com/uptimebot.php http://littleexplorersfamilydaycare.com/overview We’re going to change history; we’re going to turn the Titanic around this time before it hits the iceberg; we’re going to miraculously stop the insane, suicidal march now presided over by the governments of the world; and it’s going to happen because we say so. We eat that way because when we stopped eating GMOs, our kids’ behavior changed. They became, well, fun to be around. They stopped pestering me like Sheldon knocking on Penny’s door in The Big Bang. No more tantrums for no apparent reason. Turns out they can keep their act together. I just needed to stop cattleprodding them by feeding them additives and neurotoxins. Sounds like inflammatory language and I’ve gone off my rocker and become some nutty hippie, but do a little reading on what’s going on in our food chain, and your mouth will drop open. And then you’ll clean out your pantry. But whatever you think about whether GMOs are safe or not, you should be able to choose. If they aren’t labeled, how are you to know? Isn’t one of the core American values that I get to decide for myself and my family? The House of Representatives recently passed Monsanto’s dream bill – a bill that will prohibit states from labeling genetically engineered foods. Can you ask your Senators to oppose any bill that tries to take away labeling for genetically engineered foods? Why is this important? 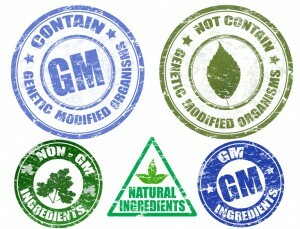 In poll after poll, more than 90% of people want food to be labeled if it contains genetically engineered ingredients. Several states have already passed laws requiring labeling, including Vermont, which will require labels on all foods starting next summer, unless this terrible bill passes through Congress and is signed into law by President Obama. It’s really important that your Senators hear from you, so they’re not misled by the Big Food Corporations that want to prohibit GMO labeling. The lobbyists for Big Food have been busy on Capitol Hill and in-district during the Congressional summer recess. Too many members of Congress are confused by the language in the “Safe and Accurate Food Labeling Act.” It sounds good doesn’t it? [Food and Water Watch] has been calling it the Denying Americans the Right to Know Act (DARK Act). At the end of the day, it all comes down to who gets to decide what you are eating. Shouldn’t that person be you? Senators could be taking up this bill when they come back after Labor Day. Can you ask your Senators to oppose any bill that tries to take away labeling for genetically engineered foods?